Last year, the University of Northampton joined a growing list of universities and organisations committed to solving social or environmental problems, after gaining the Social Enterprise Gold Mark. I wanted to take this opportunity to celebrate one year of social enterprise successes with a recap of the University’s ‘Changemaker’ work since then. The breadth and depth of the University of Northampton’s commitment to delivering social impact through and, as a result of its Changemaker student experience, has been singled out as the defining component of its Gold Mark recognition. Delivering social impact through Changemaking enables every student and member of staff to pursue their passion and address social inequality and environmental issues in a way that ‘transforms lives and inspires change’. The range of ventures developed always impresses and inspires me, the approaches taken are impactful and are driven by individuals who are able to reframe the problems to create innovative solutions. 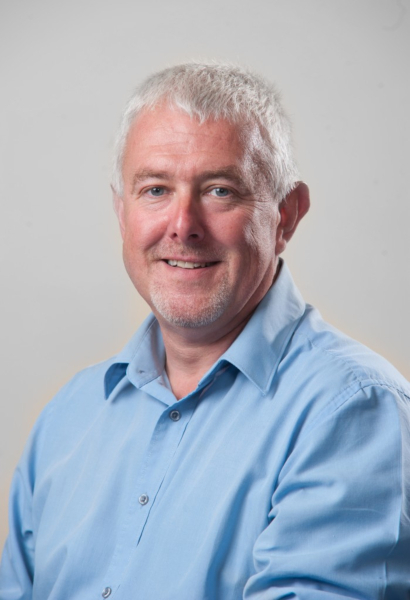 Everyday examples emerge of the great work undertaken at the University confronting everything from homelessness to human trafficking, food poverty to raising educational attainment but the one thing they all have in common is the belief of students and staff that something must be done and it’s up to them to do it. The examples outlined below are by no means the limit of what is being achieved but are highlighted to give a flavour of why the University has retained its Gold Mark accreditation. Eyespeak is a web-based TV channel created by second year International Tourism Management & Events Management student Hulda Adao, aimed at tackling online abuse and bullying on social media. Her channel has grown its audience and Hulda is now delivering workshops for secondary schools to highlight the social issues related to cyber security such as bullying, LGBT, mental health, and relationships. She has so far delivered 16 workshops to more than 300 young people., with interest growing from schools and community groups. Hulda now works with the University’s ASPIRE Schools’ Engagement team to deliver these workshops in schools across Northampton. This is a social enterprise for the digital age. Lara Hamer, a third year International Relations and Politics student, started supporting refugee communities by fundraising for volunteers who were helping at refugee camps. Northamptonshire has the fourth largest community of refugees and asylum seekers in the UK so, following the ‘Cities of Sanctuary’ programme, Lara created a ‘University of Sanctuary’. Lara, who hails from Croatia, is passionate about building a culture of hospitality and acceptance across the University of Northampton for asylum seekers and refugees. Lara personifies the spirit of Changemaker, spotting that something in the world outside the lecture theatre needs addressing and then working to sort that problem. Sukhwinder Singh, Senior Lecturer in Social Work at the University, has lead a team of 30 who are supporting and counselling refugee children from war torn South Sudan who travelled to Uganda seeking asylum. Sukhwinder has Changemaker in his DNA, so it was no surprise he was named Global Changemaker of the Year at the University’s annual awards last year. Our latest ‘Big Bang’ event, held in collaboration with the OfS funded National Collaborative Outreach Programme, saw nearly 4000 nine to 19 year olds converge at Silverstone Race Circuit, for a day of hands on experience of science, medicine, engineering and sports commentary, as a way to explore all manner of career avenues. TV personalities Dr Emily Grossman and Simon Watt came along to present shows and more than companies including Nissan, Hybrid Air Vehicles Ltd. joined them for a day of fun and discovery…and made a lot of noise! The aim of the Big Bang is to inspire young people to love science and maths by showing them they can be fun and have real benefit on their future careers. We beat 140 other education providers from around the world and scooped a coveted Innovation Award at the annual AshokaU Awards. This was in recognition of our institutional to embed social innovation and changemaking into every programme of study. The award celebrates the brightest new approaches to teaching and we won for our ‘Changemaker Outcomes for Graduate Success’ (CGOS) Toolkit a downloadable guide developed by the University to help teaching staff provide students with important life and work skills and not just academic knowledge. We are working with town and county partners to help make Northamptonshire more ‘dementia friendly’ raising awareness of and support for the needs of people with a diagnosis of dementia and their families and carers. 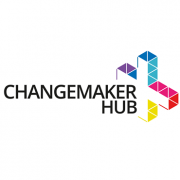 The University’s Changemaker Challenge Fund has supported a range of projects that support this work. This culminated in the launch of our first ever Dementia Friendly Organisation award. The award which recognises and celebrates excellence in supporting people living with a dementia diagnosis was awarded to the local theatre Royal & Derngate scoop who deliver dementia friendly film screenings in the Errol Flynn cinema. They are using the prize to employ an intern from the University who will help them develop the de film screenings, whilst enhancing the intern’s skills and learning. Not content with founding one successful school where vulnerable women and girls in Malawi are trained in conversational English and receive work experience, third year International Development student Emma Leering went on to create another ‘United Amayi’ school. Emma spent 12 months as a primary school teacher in Malawi teaching in a rural primary school, when she first came up with the idea of supporting the village women to learn English. Through the experience she recognised that supporting the children to have the best possible life chances was only one small part of the way she could help the people of Malawi. Her commitment has ensured the growth and development of United Amayi to support more young people. We held our first SocialxChange late last year, hosting staff and students from the University of Warsaw who looked at ways to tackle prejudice. Students returned their home university with projects to develop to help deal with race inequality. So worthwhile was the opportunity, the xChange has now been extended and we have just finished a second event with Ryerson University, Toronto with more planned for 2018-19, opening opportunities for our students to experience inequality from a global perspective and to do something about it back home. Whilst these examples are early stage developments their potential social impact will begin to emerge over the coming years, and we will be supporting all of these to ensure their full potential is reach. As the University prepares to take up residence at its new Waterside Campus the potential to grow our social innovation work and impact will increase. 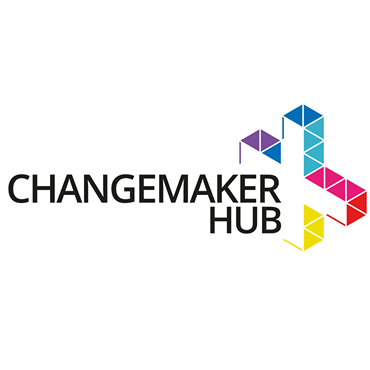 In November 2018 we will be celebrating the next batch of emerging social entrepreneurs at our Changemaker Awards Dinner; demonstrating that at the University of Northampton, social impact through Changemaking is at the core of everything we do.